The dull color scheme is one that is rarely appreciated. It is both understated and underrated. Dull yet elegant, there is an art to using this palate can make even the most typical of spaces come alive. You can use this palate to introduce a sense of chic sophistication in your spaces without going overboard with the design. Further, we’ll be featuring 5 interior designs that are going to make you fall in love with the dull color palate. The media wall is the face of this living room. Featuring three different hues of the dull color palate, it embodies a stylish appeal that instantly attracts the eye and keeps it there. Coupled with the ash toned furniture and the walnut hued flooring, the overall effect of this entire space is all elegance and grace with a touch of high style. 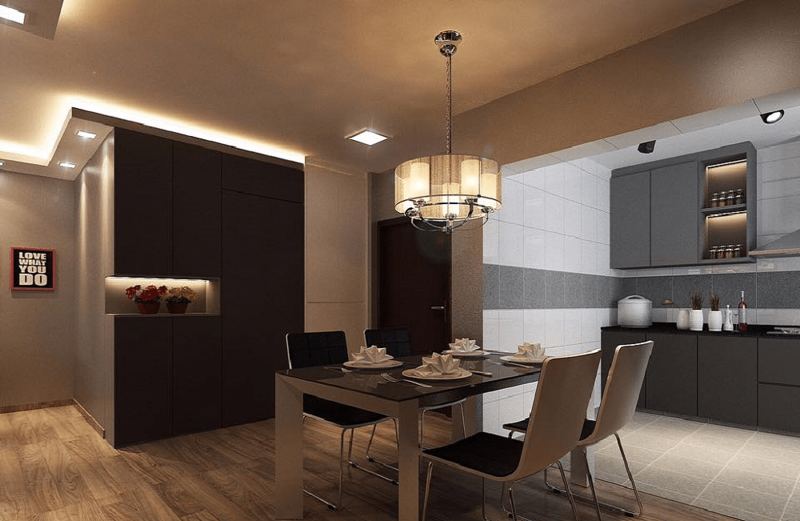 This beautiful interior design features a contrasting juxtaposition of dark and light hues on the dull palate. However, the thing that makes it absolutely stand-out is the creative use of lighting. Each and every fixture has been strategically curated and applied to make the dull color scheme feel highly glamorous and sophisticated. It’s the perfect combination of colors, materials and lighting. This interior design is a great example of how to emulate style in your interior designs while using a lightly dull color scheme. It all starts with the material choice – if your materials do not complement one another, then the design is automatically a failure. The best course of action in in such cases is to properly match and contrast your materials, so that they blend to form a great aesthetic. The awesome blend of textures and layout in this interior design create a magical effect. 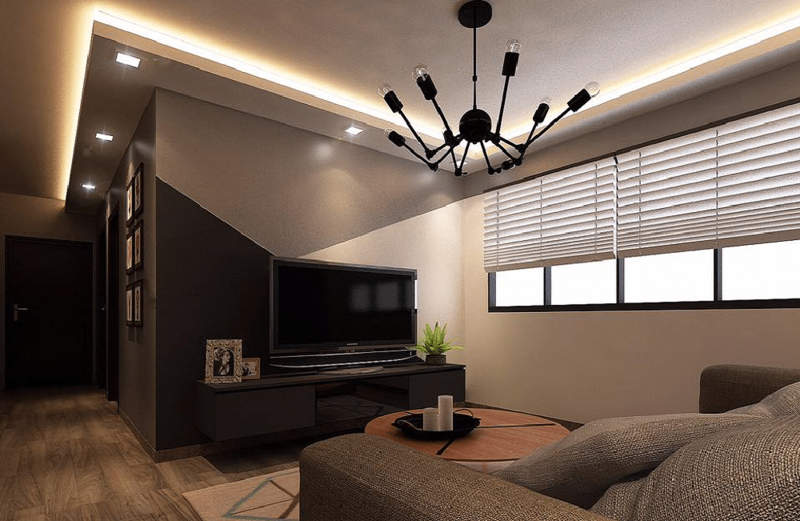 The whole space retains a sense of spaciousness while emulating a dark, comfortable and relaxing aura thanks to the dull, understated color scheme. 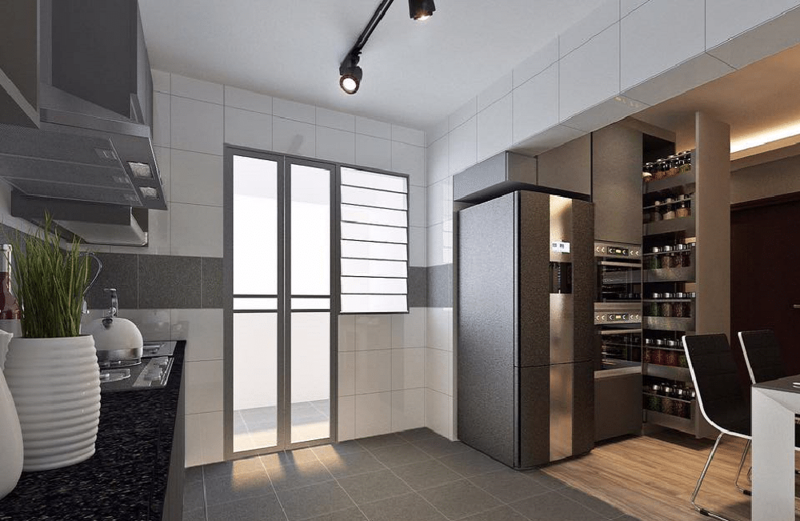 It’s a great way to articulate contemporary interiors with a touch of trendy. 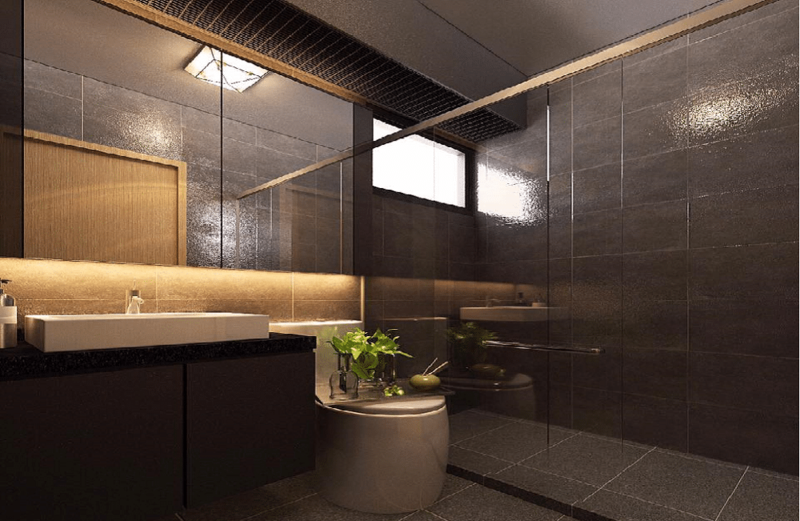 The dark intensity of this bathroom interior design is delivered mostly due to its dull material selection. The slate grey tiles are complemented by some amazing accent lighting and a great fixture selection. 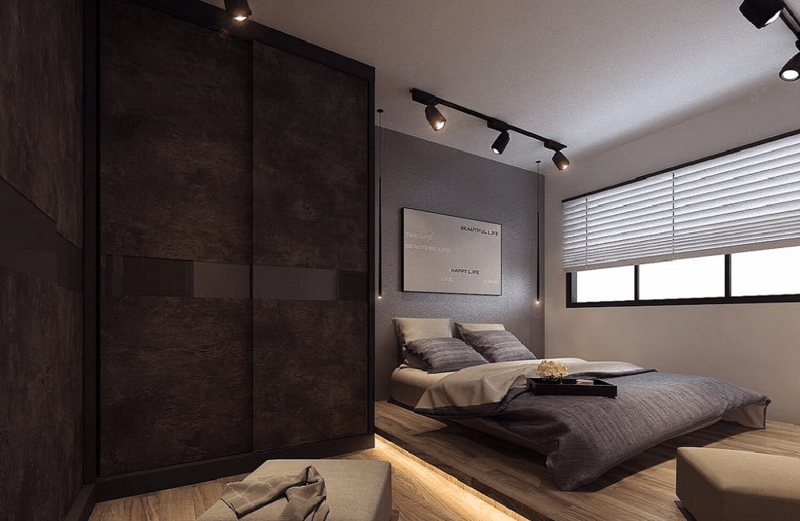 The overall ambiance of this space is definitely on the darker, moodier and sleeker side.